I love this exercise from Steve Flowers and Bob Stahl in “Living with Your Heart Wide Open”. This is a book I’d also recommend for those of you who would like to cultivate more mindfulness and compassion in your lives, while freeing yourselves from unworthiness, inadequacy and shame. If you met with a friend and she confided in you that she felt completely worthless and ashamed, how would you try to comfort her? What would you tell her to so the her troubled heart? In what other ways would you express your loving kindness and compassion? Take a few minutes to reflect on this and journal about what you would say. Now consider some ways you too have felt sad and unhappy, and offer words of compassion that are similar to what you would share with a friend. Notice what happens in your body and mind as your offer this kindness to yourself. Pay attention to what comes up for you physically, mentally, emotionally. Turn towards your own aching heart and perhaps place your hand on your chest, and then acknowledge to yourself “I care for this suffering.” Feel deeply into this and inquire into the attitude you would have towards your friend or loved one…. Let your heart widen like a ripe pomegranate widens – so filled with caring and compassion it actually bursts out of its shell. This is so great to exercise Val and I felt a need too, while I read your post. It is often more easy to care for others, than caring for oneself. Thank you Irene 💛 Real change begins within us . Impeccable timing Val. Thank you. More than once I have said to (online) fellow bloggers to “be Kind to yourself. You’re doing a wonderful job in coping and most people would have been less so in the same situation”. Self-kindness is hard when one has feelings of inadequacy and self-doubt. But to me those feelings are usually felt when others have been critical and lacking in understanding and have passed on what they themselves feel in their deepest hearts, not what you actually are in reality. Sometimes it takes a life-changing moment or event to make you feel worthwhile as a member of society and confident in your strength to help both yourself and others. Interesting how he chose the words “miserable” and “strong”. I’ve known many strong yet still miserable people! 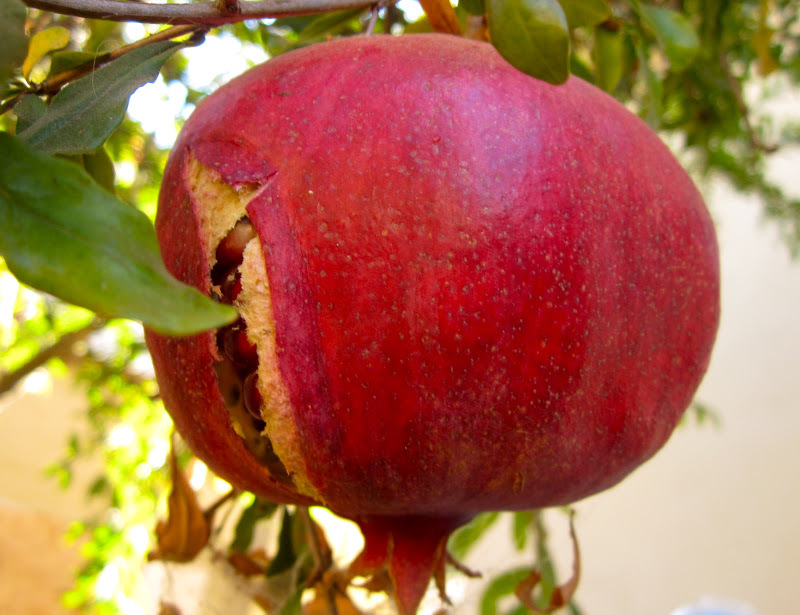 I interpret it as “strong” like a pomegranate ~> Let your heart widen like a ripe pomegranate widens – so filled with caring and compassion it actually bursts out of its shell. I believe in the same concept; if you would be kind and gentle to a friend when they are suffering, then why not be kind and gentle to yourself in your suffering as well? I’m sure your friend would be. Thanks for sharing this. I feel better already…thank you! xo What a great exercise! Thank you for sharing this – very timely. It felt really good to give myself some compassion.